The 2018 Audi Q3 is the brand’s entry-level luxury crossover-style SUV, slotted below the mid-size Audi Q5 and full-size Audi Q7. With a starting MSRP of $32,900, it competes with other small luxury crossovers from BMW, Mercedes-Benz and Lexus. It comes with many features, which are expensive options on competitors. What You Should Know: Calling all bargain hunters! The Audi Q3 is due for a redesign soon, so deals may be available. Coolest Feature: The panoramic sunroof is the coolest feature, that also helps to keep you cool. The best part? It’s standard equipment on the 2018 Audi Q3. 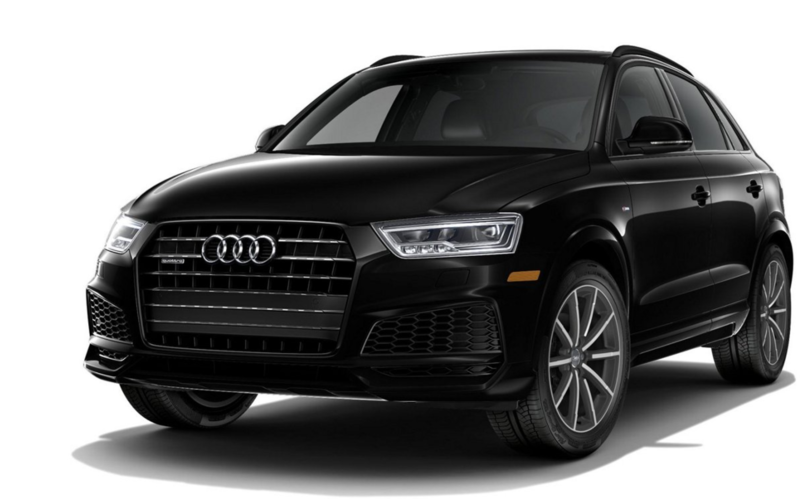 Summary: A relative bargain considering all of the standard equipment (aforementioned panoramic sunroof, leather, park assist), the 2018 Audi Q3 isn’t the most stylish SUV in the Audi lineup, but it offers the virtues of its larger siblings at a more accessible price point. Did You Know? Audi’s first SUV, the three-row Q7, debuted for the 2007 model year.